Whether you are launching a new ecommerce website, or opening a retail store in the heart of downtown – it’s important to make a big splash when announcing your new business venture. At Hollywood Banquet Hall, we know how important it is to have a successful launch party and to properly celebrate all your hard work. 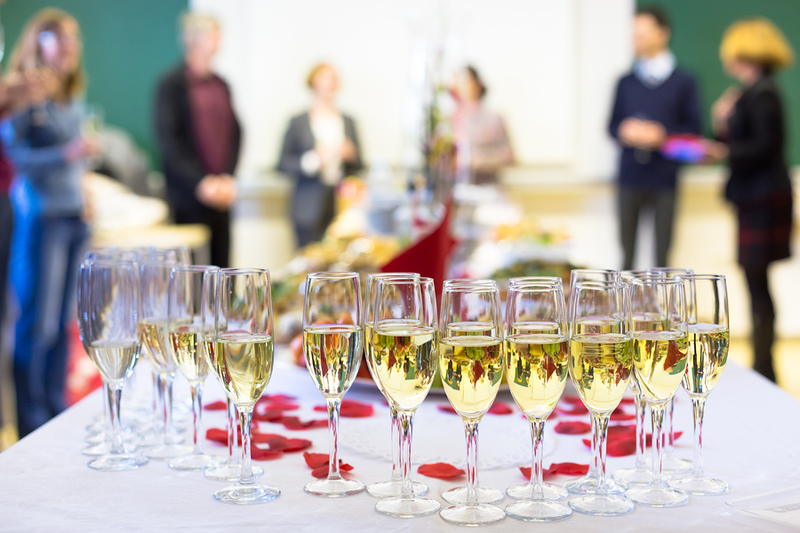 Aside from being organized and working well under pressure when planning your launch, we have outlined a few things for you to consider to ensure you have a successful party. Of course the main purpose of the launch party is to promote your business, but you should also have specific goals set for the event. The goals can be to get investors interested in your business, to network with individuals in your industry, or to receive donations. Whatever the goals may be, stick to it throughout the night. Above all, don’t lose sight of the fact that this is a business event, always remain professional. Once your guest list is set, choose the right venue to host your launch party. Choose a venue that is big enough to allow you and your guests’ breathing room, but not too big where the party looks bare. In addition, find vendors that are willing to collaborate with you, or even better – vendors willing to sponsor your event. You should do everything in your power to have a successful launch party, but that doesn’t mean you should spend all your hard-earned money on the launch. Allocate your launch party budget on appropriate things that will benefit your business long after the party is over, such as reaching the press and blogging community. Your invitation to the launch party is the first time your business will be introduced to people, so you have to make it fabulous and appealing. Put some thought into the design, the copy, along with the manner you will be delivering the invitations. In addition, if you are mailing printed invitations, make sure to send it to your guest list at least two-three weeks prior to the party to give people time to RSVP. You should put thought into creating the right atmosphere for your launch party that will have people talking about it for days to come. Whether it is the style of the party, the music, food, or activities – make an impression. It’s important for guests to have fun, and don’t shy away from party favors, everyone loves a little takeaway. Hollywood Banquet Hall understands that planning a launch party can be stressful, but try to enjoy the process and don’t forget to have fun!